I have a webpage through Squarespace and have connected Stripe. I am trying to use JotForm to allow customers to customize the amount they want to pay on their wedding. Stripe says it's live, Squarespace says it's live but when a customer tried to make a payment it says it's in test mode and not a valid test card number. What have I not done right?? Help , I am completely computer illiterate ! Currently you have test mode enabled. 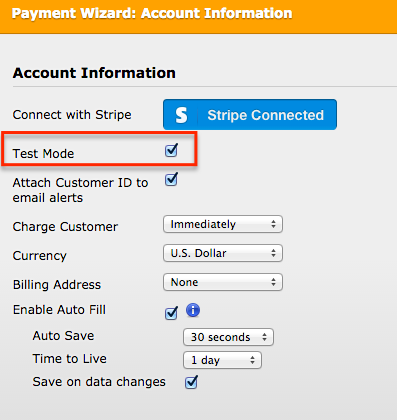 To access this, just click on the wizard wand for the payment field and uncheck it. Thank you so much ! That part was easy. Now that I have it enabled I tried to make a payment using an actual debit card and the attached screen shot is what I received. What do I do now ? Can you upload the image directly through our forum? It doesn't come through when sent by email. The screen shot is hard to read. It says " No such token: tok_17V6x1164sEPY1rbFt0fmd91; but a live mode key was used to make this request. " Can you try the API Key instead? Or remove and re-add the integration. It looks like something's not working with the connection. Actually I just got an email from JotForm, one from Stripe and one from a client saying that there payment went through. Do you think the problem might be resolved ? 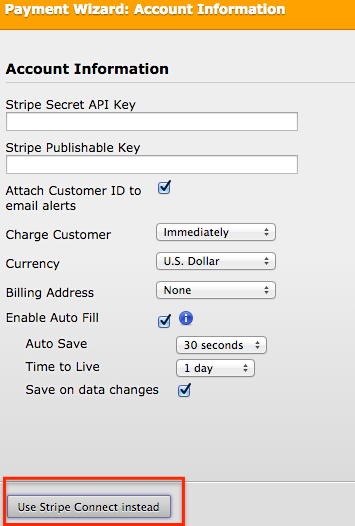 Please check your Stripe account and confirm you received it. If you received the payment and no longer receive any errors, then it's resolved. If you're still getting errors, we should make sure those are fixed before accepting too many payments.